You probably have a list of people you might consider “star patients” at your practice. They are the ones who heed your advice, show up on time, respect your team, and tell their friends about you. Patient loyalty matters, especially in today’s competitive healthcare market. Patients are not only looking for value, they expect superior service. It’s in your best interests to foster loyalty and let your patients know how important they are to you. One of the benefits of having a group of raving fans is that they talk positively about you. They tell their family and their friends about the amazing experience they had at your office. There is no better form of advertising than an honest, trustworthy testimonial from an actual patient. Loyal patients are walking billboards for your practice. Loyal patients will trust your expertise. They know you do quality work and care about their health and well-being. Often, this translates into them being more willing to accept additional treatments or services such as cosmetic work. It is essential that you build trust and respect with your patients, because once they are on your side, they will bring you additional business. Would you like to increase the number of loyal patients you have? One of the most effective ways to achieve this is to offer something that other dental offices are lacking: an affordable, attractive payment plan. The Private Dental Plan™ can help you boost patient loyalty because it provides real value to them. A leading factor in whether or not someone decides to seek dental care is cost. It’s hard to develop a loyal patient base when patients are resistant to come in due to fears about price. The Private Dental Plan™ eliminates this barrier. It’s the perfect tool for attracting and keeping new patients. To learn more about how The Private Dental Plan™ can benefit your practice and increase the number of loyal patients you receive, contact us today. We have helped dentists nationwide improve their profits and case acceptance numbers thanks to our in-office dental plan. Get started today. Dental offices can be intimidating for patients when they first walk in the door. New patients may be faced with a busy office phone ringing non-stop and the sounds of dental equipment in the background. Some of these situations can add to the anxiety new patients may be facing. Here are three strategies that your dental office can use to create a more patient-friendly atmosphere. The first person a patient interacts with at a dental office is the front desk team. Not only will that team member be providing the first impression of the practice, but they will also be the one interacting with patients for future appointment scheduling and monetary matters. 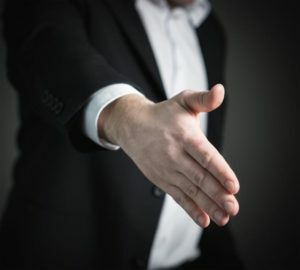 Having a friendly and polite employee at the front desk can go a long way in creating a positive first impression for patients, while alleviating any additional concerns they may have. Being assisted in a courteous manner will show patients how easy it is to work with your team and build patient loyalty. The waiting time after arriving at a dental office can be nerve-wracking for anxious patients. Creating a presentable and welcoming waiting room can help lessen their stress. Amenities as simple as comfortable chairs and reading materials can help a patient take their mind off their visit. Creating a play area for children will keep them occupied, while also helping to keep the noise level of the area down. Patients can become frustrated if they feel they have to ask numerous questions to get answers. 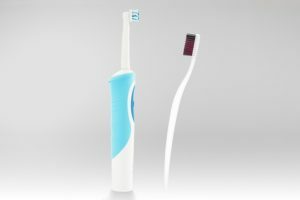 Good communication can remove frustrations and keep the patient in the loop regarding their oral health. Additionally, you’ll be able to build a strong doctor-patient relationship. Strong communication will benefit your entire team, from the front desk to the treatment room. Review all the options that a patient has for any needed treatment, cover different payment methods, and discuss easy ways to schedule appointments. Good communication will keep your patients coming back. Provide each patient a great experience at your office. Not only will your patients be happy with their dental care, but they can become referral sources for new patients. With these three strategies, your office can take a step in the right direction for creating a patient-friendly environment. To see how our team can help you, contact us. According to data from the U.S. Department of Health and Human Services, more than 100 million Americans lack basic dental coverage. Dental coverage can be a strong indicator of whether a patient regularly visits the dentist. The American Dental Association recommends twice yearly cleanings, but less than a quarter of adults without dental coverage have visited the dentist within the past year. Reaching individuals who think they can’t afford to prioritize dental care could be a huge opportunity for growth for your practice. One of the most effective ways to recruit new patients lacking dental insurance is by providing an alternative, in-office dental payment plan. With the Private Dental Plan™, patients have another access point for receiving the oral healthcare they need. When a patient is worried about the affordability of care, it can often be difficult to help them grasp the importance of the treatment you offer. However, an in-office dental plan allows you and your team to take control of the financial conversation when presenting a treatment recommendation. In-office dental plans can boost patient loyalty, help increase production numbers through greater case acceptance, and allow you to serve patients who would otherwise ignore the need for dental care. They can also often save you and your patients money by removing insurance providers from the equation. Everyone needs regular dental care, but millions of Americans are foregoing this necessity. However, neglecting basic care can often mean more expensive corrective procedures are necessary in the future. Thanks to the convenience and flexibility offered by in-office dental plans, there’s a way to reach this new market of opportunity. 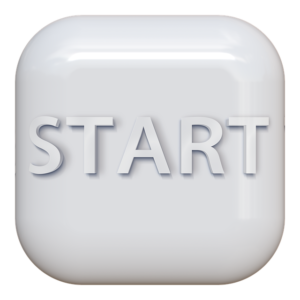 To get started with the Private Dental Plan™, contact our team today. At Dental Practice Services, Inc. our goal is to help dental practice owners establish an in-office plan that drives revenue and increases patient satisfaction. We know what it is like to be a frustrated patient met with the complex challenges of navigating dental benefit plans. We also understand the business side of practice management that dentists have to balance in addition to providing quality oral health care. We love sharing the success stories of some of our satisfied clients that have implemented the Private Dental PlanTM and saw successful results. One of the best things about the Premium Plus Plan is that it is “OUR” dental plan. When patients sign up for the Premium Plus Plan they are signing up with our office only. This keeps them in the practice, which is a win/win for both the patient and the dental office. The patients win because they are able to get affordable dental treatment and we win because we see our patients on a regular basis and know their oral health needs are taken care of. Treatment for our patients is decided by our patients and our doctors, not an insurance company. The PDP program works well for me because of the high monthly income and ease of the administration of it. My Plan works well for patients who are not eligible for insurance and helps sell our treatment plans. The program is financially beneficial to both the patient and our office. The patients really like it and we continue to sign 1-2 people a week who want something else besides insurance. The best part is our plan is so easy to work with, simple to administer, and profitable for the practice. Having DPS as a partner to help operate our plan is important for this office and we will continue to work with them. Do you want to see more new patients? Are you looking to increase your bottom line? We have been helping practices nationwide obtain and keep new patients thanks to the Private Dental PlanTM. To learn how you can get started with an in-office dental plan, contact us today. 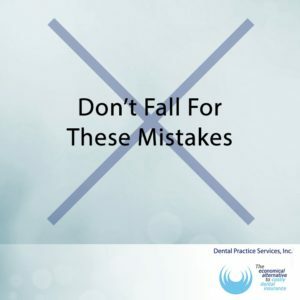 As a dentist, you might be used to explaining the importance of a particular procedure to a patient only to have them turn it down. Why? Oftentimes, concerns regarding financing and payment are the reasons behind dismissal. 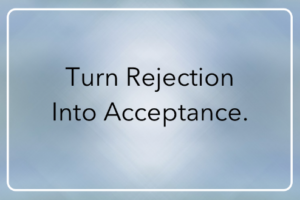 What if your practice could turn these rejections into case acceptance? The Private Dental Plan™ can change the way you present cases to patients. With The Private Dental Plan™, your practice is in control regarding financing. 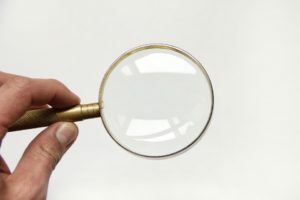 You will have your patients’ attention when they hear there is another way to pay for treatment without going through complicated insurance company policies. With an in-office dental plan, your patients will think twice before turning down a treatment or procedure they need. By offering an in-office plan, you can build patient loyalty. The benefits to patients will make it worthwhile to continue to choose your practice for dental care. They will also have extra motivation to schedule hygiene appointments. Patient retention can be improved once they see the high standard of care you and your team provide – they just need a chance to experience that level of care before turning it down. The Private Dental Plan™can allow you to provide the quality treatments your patients require. You’ll feel that sense of fulfillment in your career again knowing that you are helping patients have access to the care they need. If you are ready to offer your patients an exciting alternative to costly, complicated dental benefit plans, contact us today. Your patients depend on you to care for their needs in a timely, efficient, and professional manner. Are you doing all you can to offer superb service? If you make it easy for your patients to pay, your patients will notice, and they will likely share their experience with others. This is where the Private Dental Plan ™ comes in. 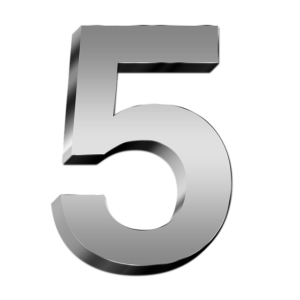 Here are 5 reasons your practice should offer an in-office plan. Your patients notice diminishing coverage year after year, and your practice has likely felt the effects, as well. Each year, dental insurance seems to cover less. By utilizing the Private Dental Plan ™ you create an alternative to dealing with big insurance companies. With an in-office dental coverage plan, you can meet the needs of your specific practice. Tailor it to fit your patients. Big insurance companies don’t know your patients the way you do. Take the driver’s seat and create a plan that works for you and your patients. With an in-office plan, your team and your patients can clearly communicate with one another in terms of what needs to be paid. There is no third-party, no corporate red tape to fight through. If your patients have a question, they call your office. It’s that easy. If you offer easy to understand options to your patients, they are likely to stick around. Prove your value to your patients by branding your practice as one that is flexible. Patients are seeking value and quick service for their oral health needs. Be there for them. It can be hard to sell dentistry when patients are concerned about payment options. With an in-office dental plan, patients are more likely to accept services that they might otherwise neglect. When patients hear a treatment is covered, they listen. The Private Dental Plan ™ is a revolutionary concept that rethinks the way the dental industry operates. Rather than deal with complicated third-party insurers, your practice and patients can work together directly. No one knows your patients the way you and your team does. Doesn’t it make sense that you work with your patients to offer coverage options? To get started with your in-office dental plan, contact us today. 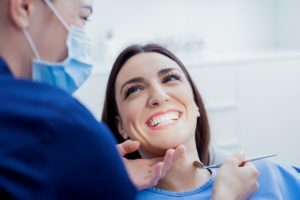 Private Dental Plan® | Getting Started: What to Expect from Dental Practice Services, Inc.
Once you’ve decided that offering Private Dental Plan® is the right fit for your patients and your practice, you may start to wonder what comes next. With Dental Practice Services, Inc. (DPS), we have designed a four-part program to make implementing your new Private Dental Plan® easy for you and your team. First, DPS will work with you to create a customized plan based on your services and preferred plan design. We will process an actuarial evaluation that will determine the appropriate membership fees for your patients. This ensures that your plan will be cost-effective and affordable for your patients while providing an equitable return for your practice. Next, DPS will provide you and your team with customized marketing materials to help you spread the word about your new plan. These materials include informative brochures and applications for your plan. We even include a customized electronic application for you to use on your website. Patients who are self-employed, retired, or have limited or no dental coverage are ideal for membership in Private Dental Plan®. Before launching your new Private Dental Plan®, DPS will provide comprehensive training to your team. We will instruct them in how to effectively present the plan to your patients. Your patients will enjoy knowing they can afford the treatment they need. You and your team will enjoy increased case acceptance and knowing exactly what coverage entails, without spending time and stress processing pre-approval requests. Finally, DPS becomes a partner to your practice for a long-term beneficial relationship. DPS performs monthly plan collection and reporting as an extension of your dental staff. This includes providing accurate activity and membership reports each month, so you are able to easily calculate the increases in case acceptance, patient loyalty, and practice income you are receiving due to providing Private Dental Plan® to your patients. If you would like more information about Private Dental Plan® and how it can benefit your practice and your patients, contact our office.